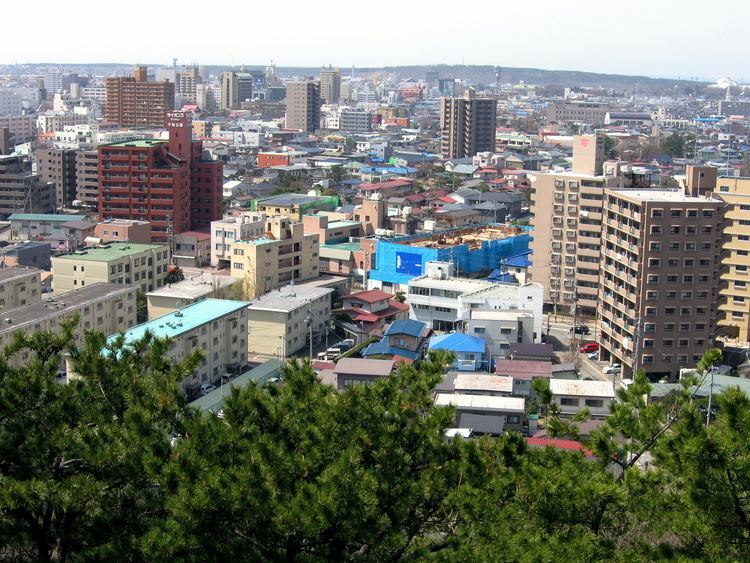 Akita (秋田市, Akita-shi, [áꜜkìtà]) is the capital city of Akita Prefecture, Japan, and has been designated a core city since 1 April 1997. The city, which covers an area of 906.09 square kilometres (349.84 sq mi), had an estimated population of 314,662 in October 2016, giving a population density of 347 persons per km2. The area of present-day Akita was part of ancient Dewa Province, and has been inhabited for thousands of years. The Jizōden ruins within the city limits are a major archaeological site with artifacts from the Japanese Paleolithic period through the Jomon and Yayoi periods. During the Nara period, the Yamato court established Akita Castle in 733 AD to bring the local Emishi tribes under its control. The area was ruled by a succession of local samurai clans in the Sengoku period, before coming under the control of the Satake clan of Kubota Domain during the Edo period. Under the Tokugawa shogunate, a castle town developed around Kubota Castle. With the start of the Meiji period, Kubota Domain was abolished, and its castle town divided into the towns of Akita and Kubota. Akita Prefecture was established in 1871, and Shima Yoshitake was named the first governor. Ancient Akita District was divided into Kitaakita and Minamiakita Districts in 1878. Most of Akita town burned down in a great fire on 30 April 1886. With the establishment of the municipality system on 1 April 1889, the city of Akita was officially established, including former Kubota and Akita towns. The port area was separated into Tsuchizakiko Town, which became part of Minamiakita District. The first city hall was located inside the former Minamiakita District office. In September 1898, the Imperial Japanese Army’s IJA 17th Infantry Regiment was based in Akita. The first public library was opened in 1898, electrification of the city began in 1901, and Akita Station was opened in 1902, as well as running water and telephone services in 1907. The Taisho period brought further development to Akita with Nippon Oil Corporation developing the nearby Kurokawa Oil Fields in 1914, and a branch of the Bank of Japan opening in Akita in 1917. 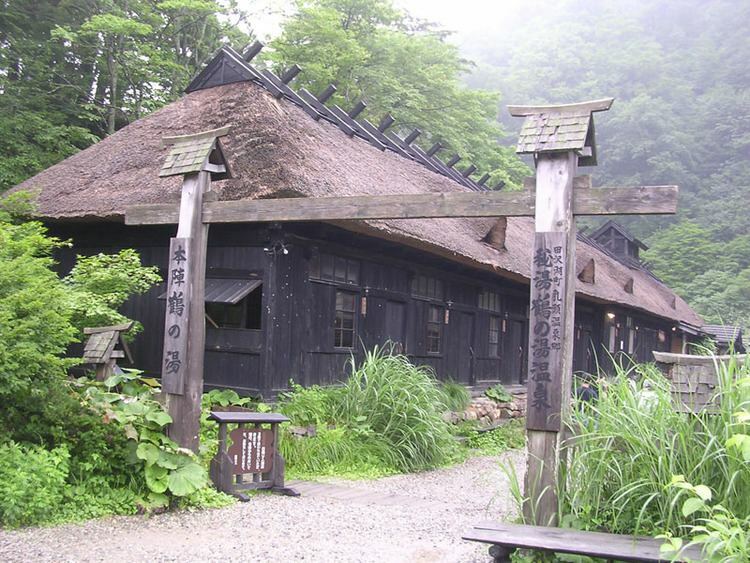 In 1935, Nippon Kogyo (the forerunner of Jomo) began development of the nearby Yatsuhashi Oil Fields. Akita Bank was established in 1941. War devastated the city on 14 August 1945. During the Tsuchizaki air raid, over 250 people were killed when 134 USAAF B-29 Superfortress, attacked the city from midnight to the early dawn. A Nippon Oil oil refinery in the Tsuchizaki area was targeted. 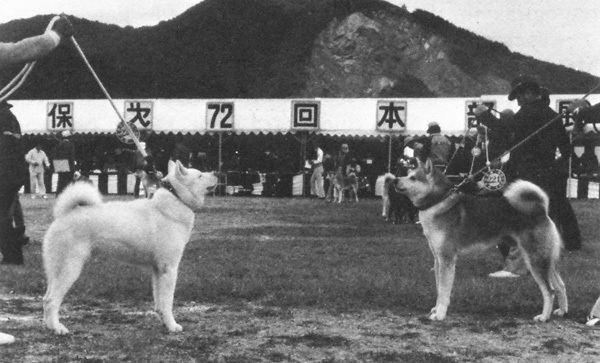 During the post-war period, the 16th National Sports Festival of Japan was held in Akita in 1961. During the tsunami following the 1983 Sea of Japan earthquake, three Akita residents were killed. On 1 April 1997, Akita was designated as a core city with increased autonomy. The Akita Shinkansen began operations the same year. In August 2001, the World Games were held in Akita, with the opening ceremony held in the Yabase Track and Field Stadium. In 2004, the city celebrated its 400th anniversary and its beginnings as Kubota Castle town. On 11 January 2005, the towns of Kawabe and Yūwa (both from Kawabe District) were merged into Akita. Kawabe District was dissolved as a result of this merger. The location of Akita City Hall did not change, and former Kawabe and Yūwa Town Halls are used as civic centers. 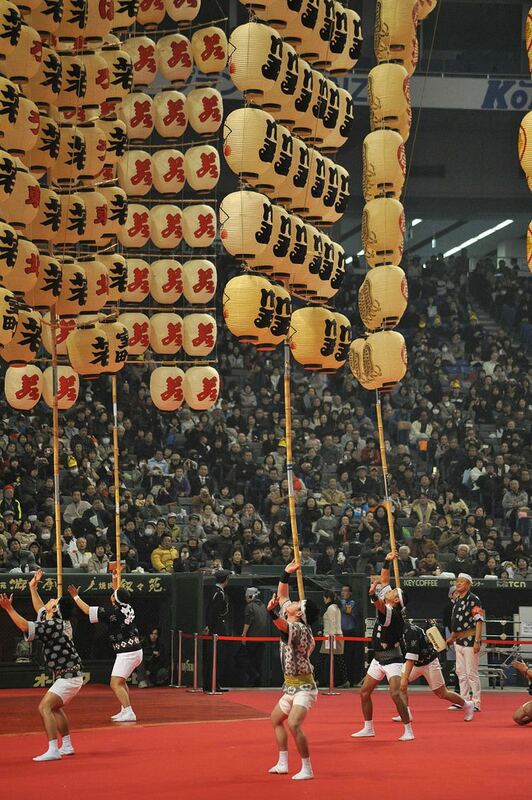 The 62nd National Sports Festival of Japan was held in Akita in 2007. The city of Akita is located in the coastal plains of central Akita Prefecture, bordered by the Sea of Japan to the west. The Omono River runs through the center of the city. Akita belongs to a climatic transition zone humid subtropical climate (Köppen Cfa) and is interestingly the most populous city having absolute northern extremity of this climate zone within Japan, bordering very closely with the humid continental climate (Köppen Dfa) zone, comparable to New York City, USA. 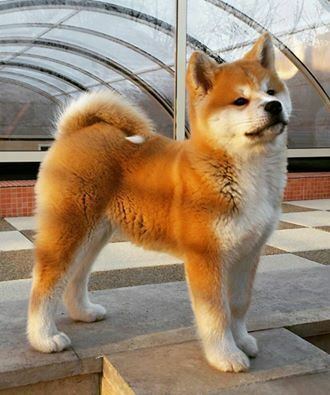 Akita is characterized with cold, very snowy, winters, and very warm, humid summers. Monthly averages range from 0.1 °C (32.2 °F) in January to 24.9 °C (76.8 °F) in August. Due to its location near the Sea of Japan coast, it receives heavy snowfall, with just above 377 centimetres (148 in) per season, with accumulation occurring mostly from December to March. Precipitation is well-distributed and significant throughout the year, but is greater in the latter half. Over two thirds of all days see some precipitation, either rain or snow. The economy of Akita remains heavily dependent on agriculture (particularly rice cultivation), forestry and mineral extraction. Akita contains one of the most important oil fields in Japan. Oil refining, woodworking, metalworking, and the production of silk textiles are the main industries. Akita is also home to two regional banks that serve Akita prefecture and the greater Tōhoku region: Akita Bank and Hokuto Bank. Akita has 44 city and one national elementary schools, 22 city, one prefectural, one national and one private middle schools, and one combined city middle/high school. There are eight prefectural, one city and seven private high schools, as well as four prefectural and one national special education school. This representative summer festival began 350 years ago, with similar to tanabata festivals held elsewhere in Japan. 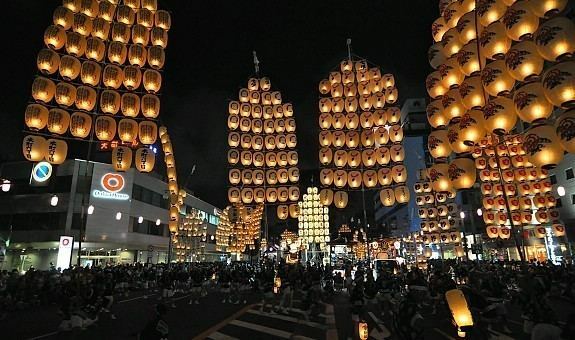 During this festival, participants balance 15 meter poles with 230 lanterns on their chins; the main event is held during the evening and night hours, between the 3rd and 6th of August each year. During the festival, Kanto stunt events are held in Senshu Park during daylight hours involving many amateur participants. This event was first held in 1931 and every subsequent year, except between 1935 and 1946 and in 1953 and 1965. Overseas exhibitions of the festival were performed in Hamburg, Germany, in 1988, Honolulu, Hawaii, in 2002, London, UK, in 2004, and as an opening event at the 2001 World Games. Our Lady of Akita is the title of Marian apparitions reported in 1973 by Sister Agnes Katsuko Sasagawa in the remote area of Yuzawadai, near the city of Akita. The apparitions were approved by the Holy See in 1988. The 1988 approval was issued by Cardinal Joseph Ratzinger, who later became Pope Benedict XVI.